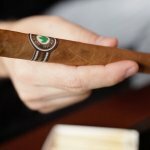 Our very own Juan Martínez, tells you all about this classy, but more fun smoke. Watch the video below! Made only with Nicaraguan tobaccos, Joya Red is designed to be a pleasant smoke to be enjoyed anywhere and at any time. Made exclusively of premium tobaccos from our beloved Nicaragua, our #JoyaRed is truly a Nicaraguan puro. As a result, a medium bodied cigar that delivers a pleasant smoke with captivating flavours, nutty notes and also hints of peppers can be tasted through the whole smoking experience. Have you tried our #JoyaRed ? What are your thoughts? Let us know in the comment section!